Larry Fraser, right, an Engineer with Black Clawson, talked about his trip to Haiti after the Earthquake this past Spring. Larry was among a large group of construction workers and nurses from the Abundant Life Church in Syracuse to go there to finish removing the debris from a church that was so devastated and to establish hope and build relationships. They plan to go back in the future to help build a new church on that same site. 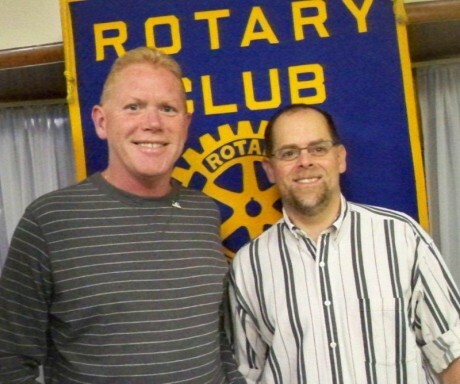 Pictured with Fraser is Rotarian Doug Stevens. Fulton Sunrise Rotary meets every Friday at 7 AM at Fulton's Riverside Inn.